I was progressing so nicely on my Feathered Star…then I ran out of the white background needed to make the borders. It’s every quilters nightmare! My local shop ordered in a bolt for me so I will pick it up today. While I have been waiting for the fabric to arrive, I have been stitching away on Block 7 of Friends of Baltimore. It is finally finished!! There is a sashing of half-square triangles between each block so I am going to start making those soon. Here is what I have done so far!! And, last but not least, I am slowly getting Amy’s wedding quilt hand-quilted. Time is flying and the wedding is less than 2 months away! « It’s not finished until it has a label on it!! Sooooo much work and even more beautiful! Thank you Kathy with a K!! We should get together and hand-quilt! I hope so too! 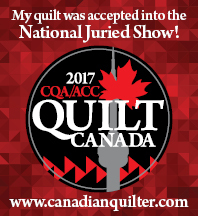 I have enjoyed making it….especially hand-quilting it! Oh my goodness what beautiful work you do. It was so so relaxing, sitting out in the sunshine, stitching away…. Good for you! If more people hand-quilted, the world would be a less-stressed place! looking great!!! you do such beautiful applique work! Thank you! I always choose applique over housework…always!! I must know about your light box. Did you craft it yourself? The ones I have searched out are not as large as I would like one to be. LOVE your blog and all the tips and photos you show about the Friends of Baltimore. This will be such a help when I order mine…..(wink wink)! Order the pattern! It is not a difficult pattern, just lots of pieces!